Since Freud, the study of dreams has typically involved inquiry into past and present emotional states. The ancients, unfamiliar with the intricate byways of the human soul revealed by modern psychology, typically saw dreams as channels of communication between human beings and external sources. Shaul Bar explores the etymology of key terms for dreams in the Hebrew Bible, presents dozens of examples of biblical dreams and visions, and categorizes them as prophetic, symbolic, or incubation. He studies biblical dreams and visions in the context of similar phenomena in the literature of neighboring cultures and analyzes the functions of dream reports in the biblical corpus. The literature of dream interpretation in Egypt and Mesopotamia informs Bar’s treatment of the structure of dream accounts as conforming to the three-part model (setting, message, response) proposed for ancient Near Eastern dream accounts in A. Leo Oppenheim’s classic work on dream interpretation. Symbolic dreams, whether or not God is their source, contain no divine appearance and require interpretation to be understood. While oneiro-criticism was a significant profession in ancient Near Eastern cultures, the Hebrew Bible presents only two such experts, Joseph and Daniel. Both were active in royal courts, and the success of both in interpreting the rulers’ dreams served to confirm the superiority of the God of Israel. Ambivalence characterizes the attitude toward dreams and visions in prophetic literature. Joel and Job allow that they have some value. But Jeremiah, Zechariah, Isaiah, and Ecclesiates find no religious significance in them and even treat them as tools of deceit. The Talmud presents no consensus about whether dreams are a legitimate form of communication from God. Although a guild of professional interpreters existed in Jerusalem and the Talmud includes a short dream book, many Sages expressed skepticism about such alleged divine messages. 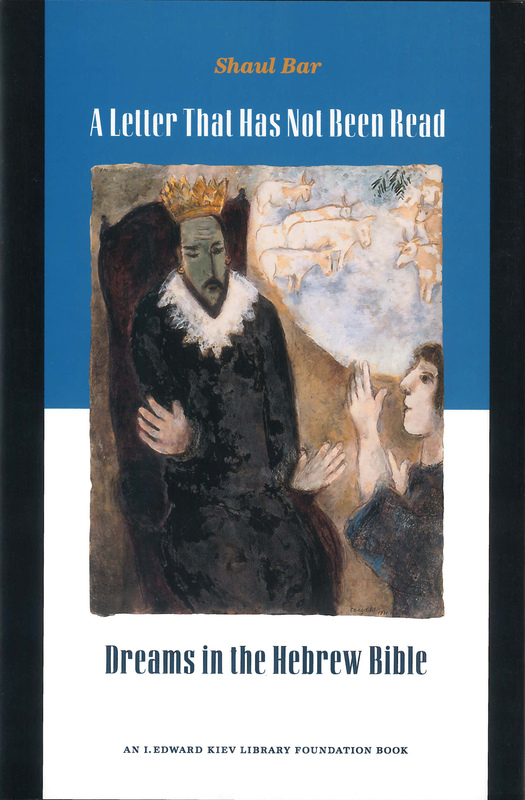 Dreams also serve important functions within the literary world of the Hebrew Bible. Bar shows how Jacob’s dream at Bethel serves to explain the sanctity of the place and detach it from its Canaanite context, how the dreams in the Joseph cycle show the hand of divine providence in the descent to Egypt followed by the ascent to the Promised Land, how Solomon’s dream at Gibeon serves to legitimate Solomon’s rule, and how Nebuchadnezzar’s dreams served to emphasize once again that it is the Lord who guides universal history. Shaul Bar is Associate Professor of Bible in the Bornblum Judaic Studies Program at the University of Memphis.